There was a time in the U.S. when small cars were inexpensive and boasted great fuel economy, but that was about it. Those cars were referred to — often disparagingly — as econoboxes. 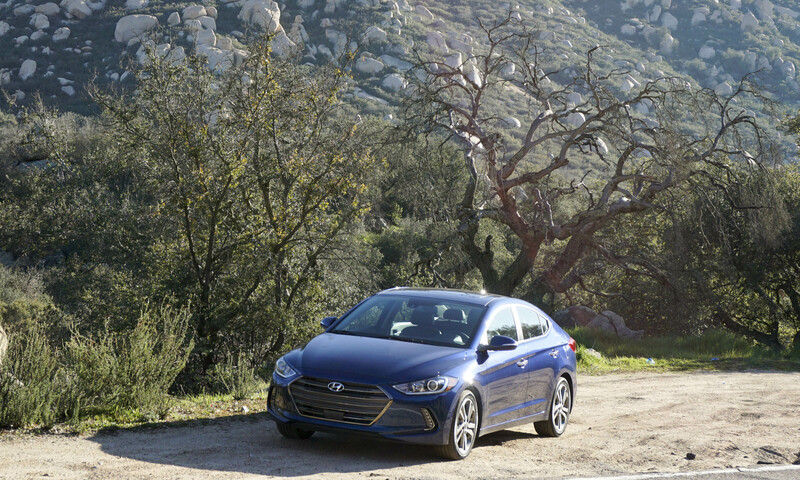 The inexpensive new Elantra gets very good fuel economy, but it offers so much more in terms of style, performance, safety and features that it is about as far from an econobox as a car can get. 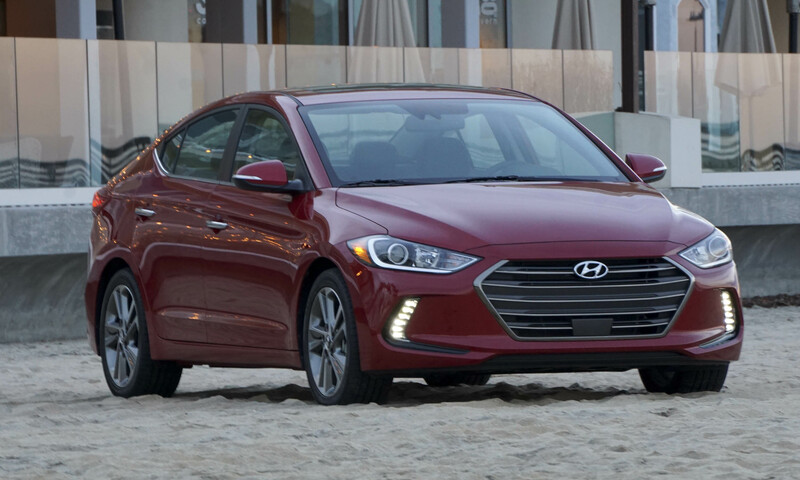 All new for the 2017 model year, the Elantra embodies why Hyundai continues to have so much success in the U.S. market. 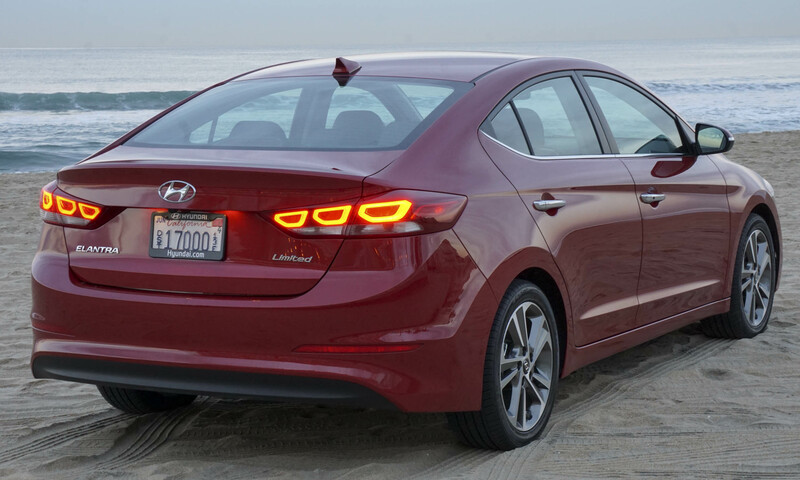 Completely new for the 2017 model year, Elantra is easily differentiated from the outgoing 2016 model. 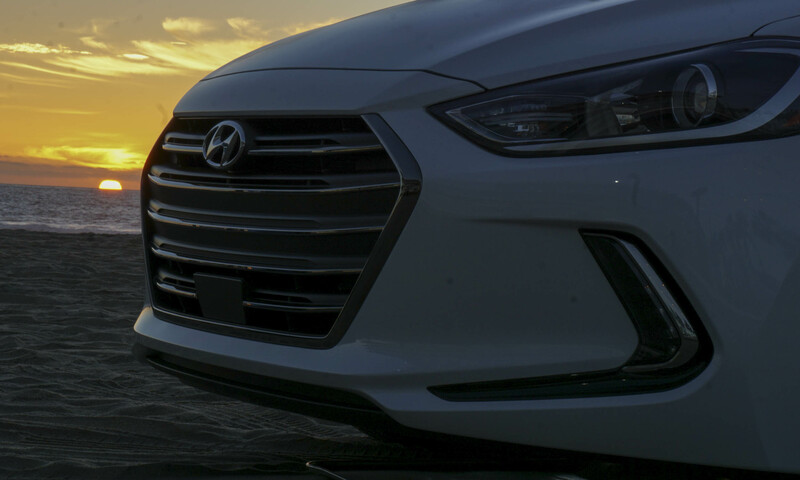 Most noticeable is the signature hexagonal grille, bringing the car’s looks in step with the rest of the Hyundai lineup. 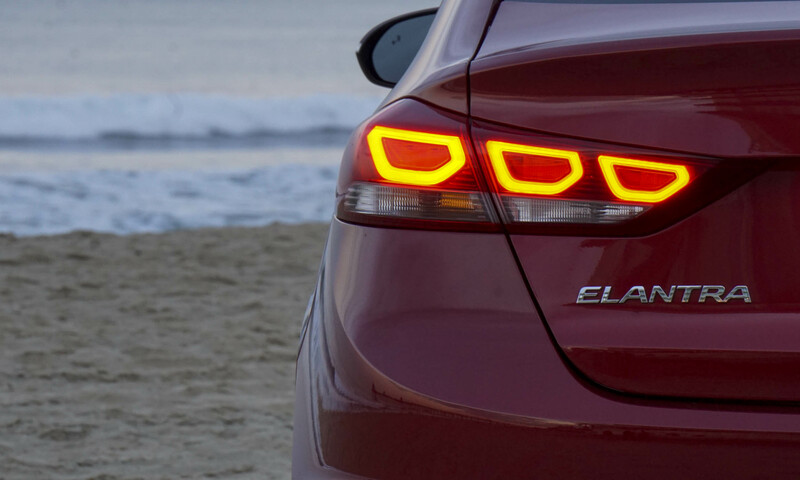 The available HID headlights and LED running lights contribute to Elantra’s updated new look. 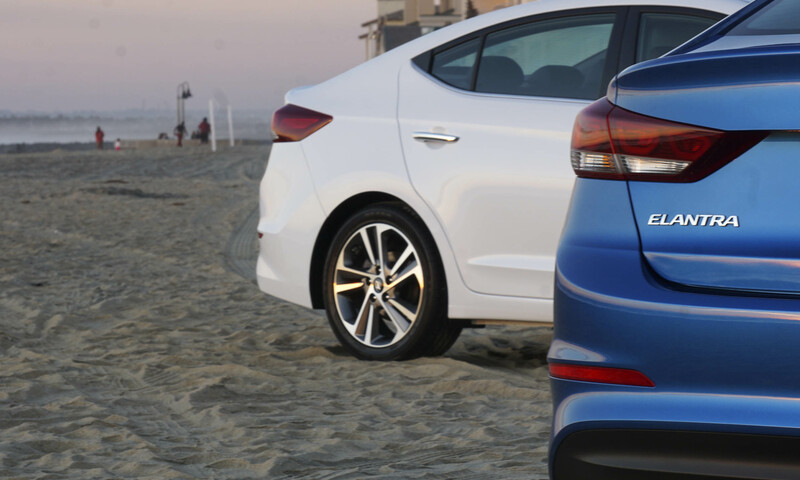 Although the wheelbase stays the same, the new Elantra is slightly longer and wider for 2017 yet considerably more aerodynamic. Hyundai says the Elantra is even more slippery through the air than the very efficient Nissan Leaf. Elantra is currently available in two trim levels: SE and Limited. A more fuel-efficient Eco trim should be available this summer. Each trim offers a number of high-level optional packages and features that can equip the Elantra with amenities typically found on higher-end vehicles. 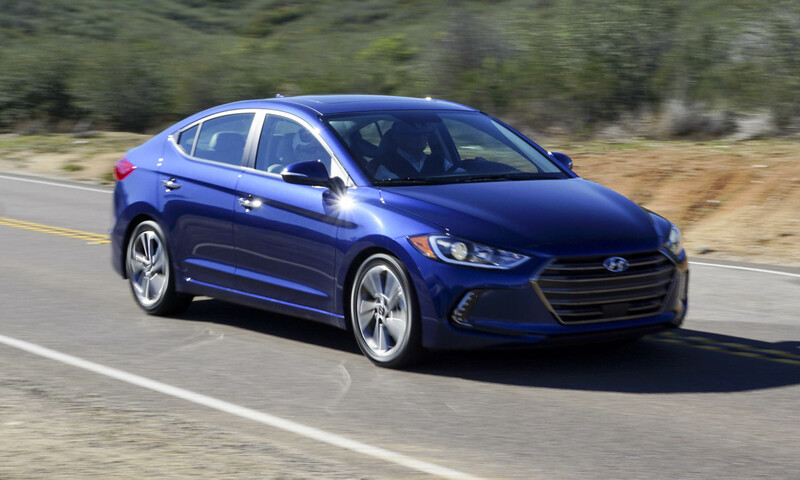 The 2017 Hyundai Elantra SE has a base price of $17,150 — $100 less than the outgoing model. 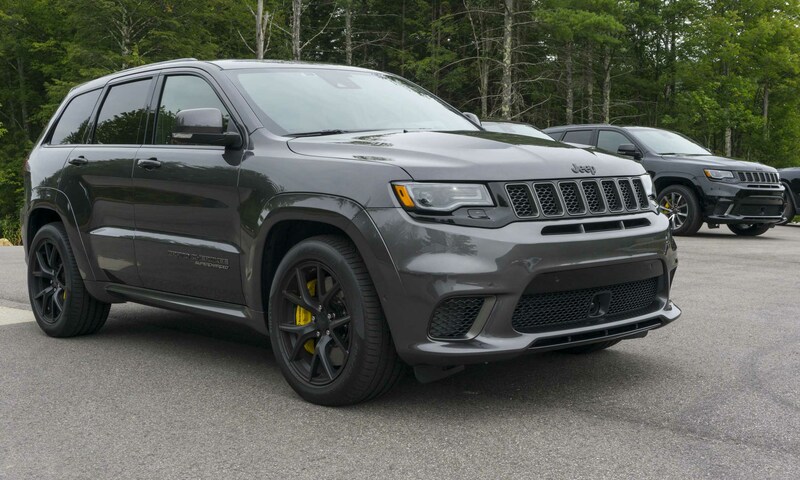 Standard equipment includes air conditioning, premium cloth trim, an AM/FM/SiriusXM/CD/MP3 6-speaker sound system with USB input, a 60/40 split-folding rear seat and a 6-speed manual transmission. Vehicle stability control, traction control, anti-lock brakes and multiple airbags are also standard. 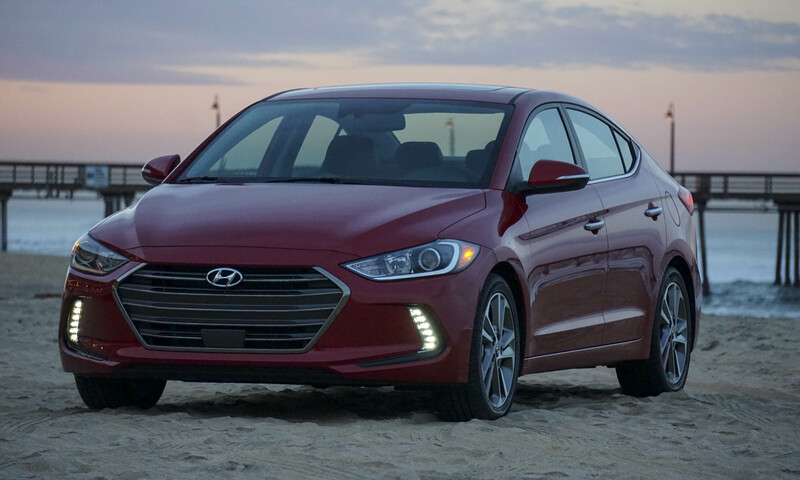 Hyundai expects a very small percentage of Elantras to be sold with the manual transmission — upgrading to the 6-speed automatic runs an additional $1,000. For an additional $800, the SE Popular Equipment Package adds a number of features that are standard on the higher-level Limited, including Android Auto and Apple CarPlay, an upgraded audio system with a 7-inch display, 16-inch alloy wheels, Bluetooth connectivity and more. Another $1,300 adds the SE Tech Package with LED running lights, blind-spot detection, cross-traffic alert, dual-zone climate control and keyless start. Both packages require the addition of the automatic transmission. Bumping up to the top-of-the-line Limited puts the price at $22,350. The Limited upgrades the SE with blind-spot detection, rear cross-traffic alert, dual-zone climate control with CleanAir Ionizer, power driver’s seat, leather seats, heated front seats, keyless entry with push-button start, dual USB charging ports and an AM/FM/HD audio system with 7-inch touchscreen display. Android Auto and Apple CarPlay are also standard on the Limited. 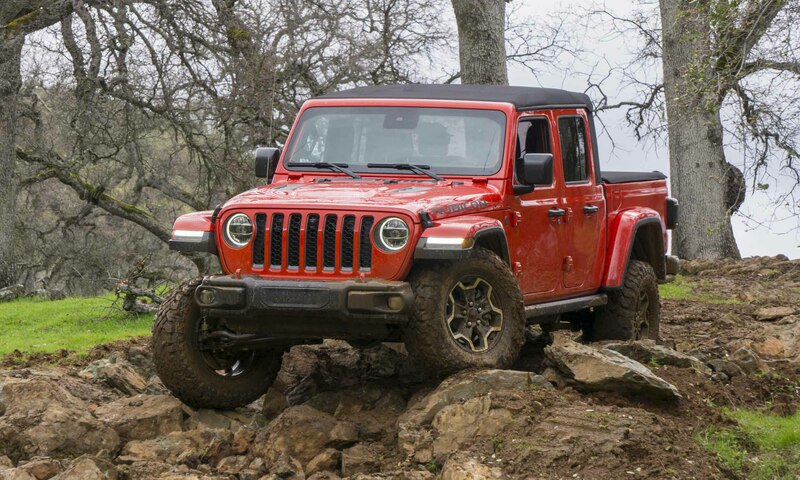 The Limited stands out with 17-inch alloy wheels, chrome trim and LED running lights and taillights. 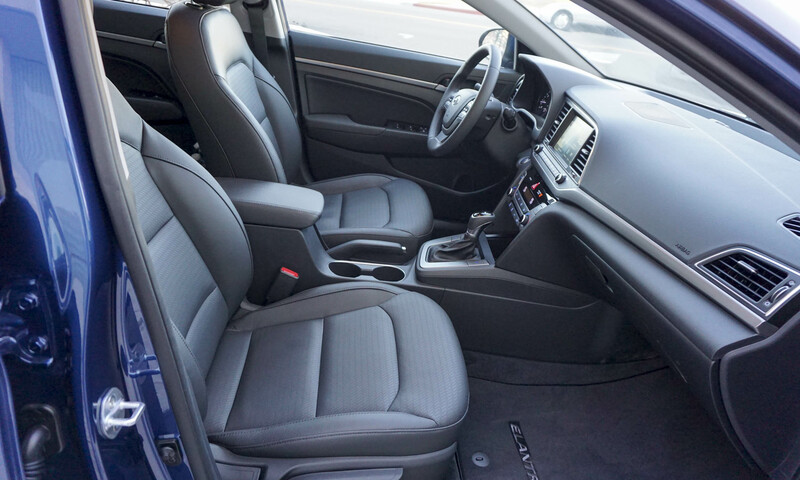 The automatic transmission is standard on the Limited — a manual is not available. Adding the Tech Package ($2,500) and Ultimate Package ($1,900) puts just about every available option on the Elantra Limited. 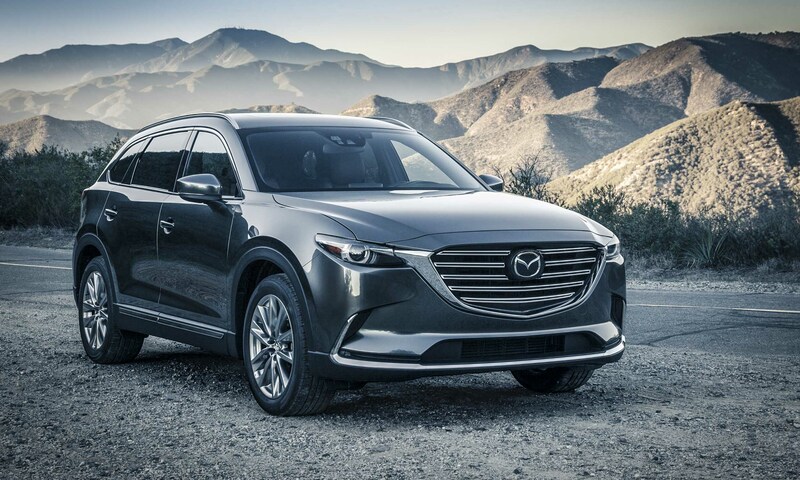 Amenities include a navigation system with a larger 8-inch display screen; an Infinity premium audio system; Harman Clari-fi music restoration technology; a sunroof; heated rear seats; HID headlights; automatic emergency braking with pedestrian detection; lane-keep assist and adaptive cruise control. 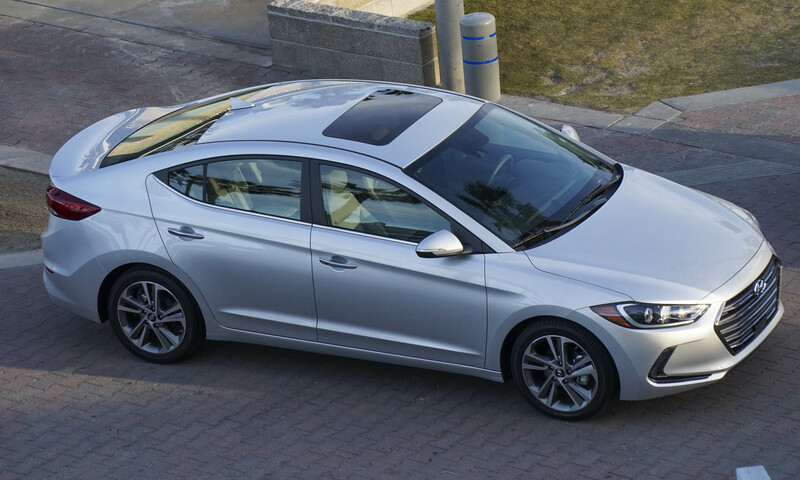 Doing the math, a fully loaded Elantra comes in at a quite reasonable $26,750. Only one engine will be available for the Elantra at launch: a new 2.0-liter 4-cylinder engine producing 147 horsepower and 132 lb-ft of torque. The SE is available with a 6-speed manual transmission, but sales of this combination are expected to be low; most buyers will have the new 6-speed automatic transmission. Fuel economy with the manual transmission is rated at 26 city / 36 hwy / 29 combined, while the automatic improves to 29 / 28 / 33. The Limited weighs a bit more and is rated at 1 mpg lower across the board. Cars equipped with the automatic have three drive modes to choose from — Eco, Normal and Sport. These settings adjust the engine torque map as well as shift points and steering feel. 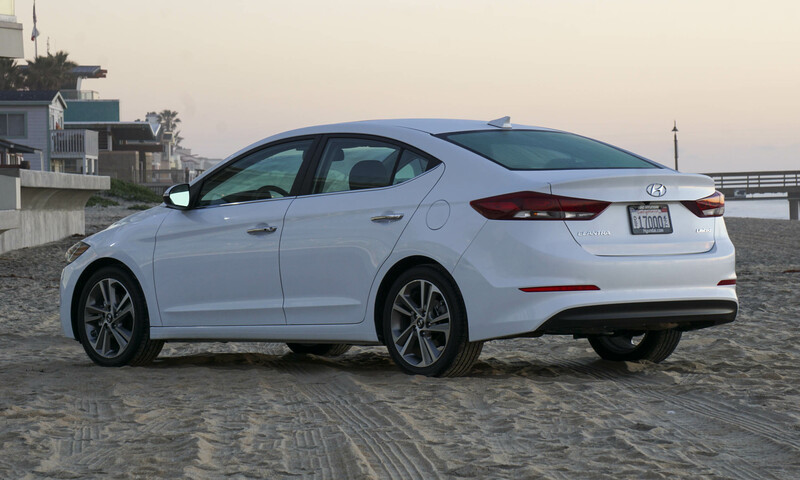 Although not currently available, the Elantra Eco will offer a 1.4-liter turbocharged engine teamed with a 7-speed dual-clutch transmission; the Eco is scheduled to go on sale in summer 2016. This engine produces 128 horsepower but torque jumps to 156 lb-ft at a very low 1400 rpm. 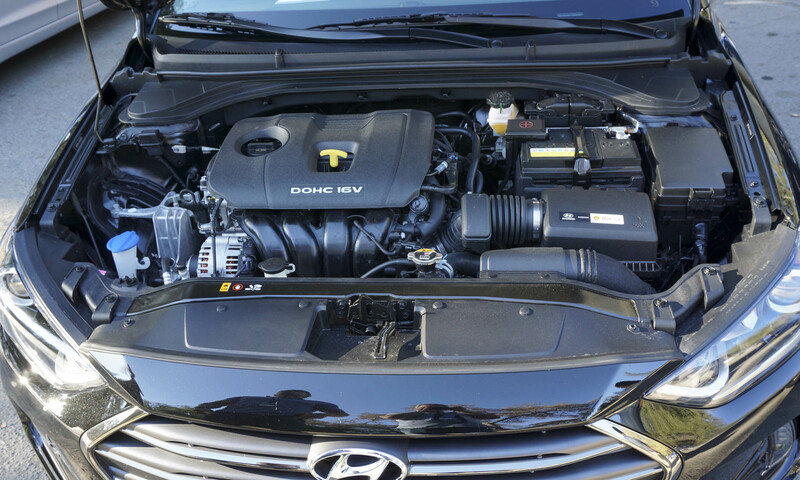 The Eco has not been tested by the EPA; however, Hyundai expects a combined fuel economy rating of 35 mpg when tested. Hyundai has done a great job of making one of their entry-level models feel like a much more upscale automobile. We spent most of our press drive in a fully-loaded Elantra Limited that has very comfortable leather seats. 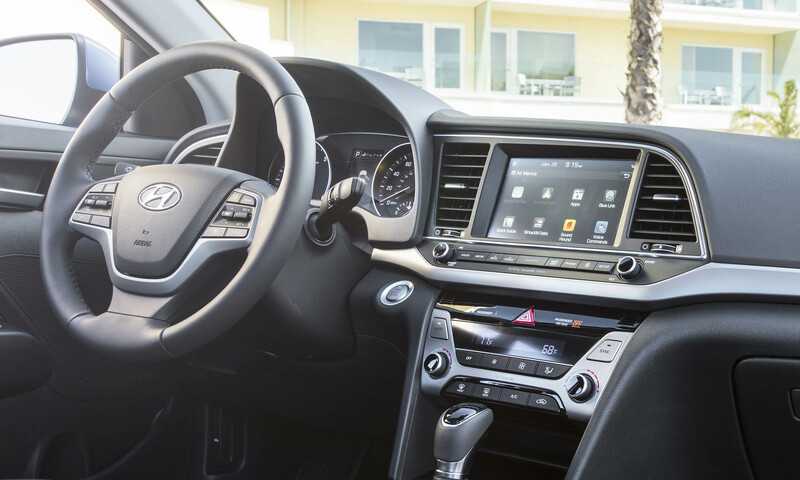 There’s good storage in the center console, with two cupholders, armrest storage and a useful cubby ahead of the gearshift that has room for a smartphone. Elantra also has two 12-volt plugs, an auxiliary plug and a USB connection. 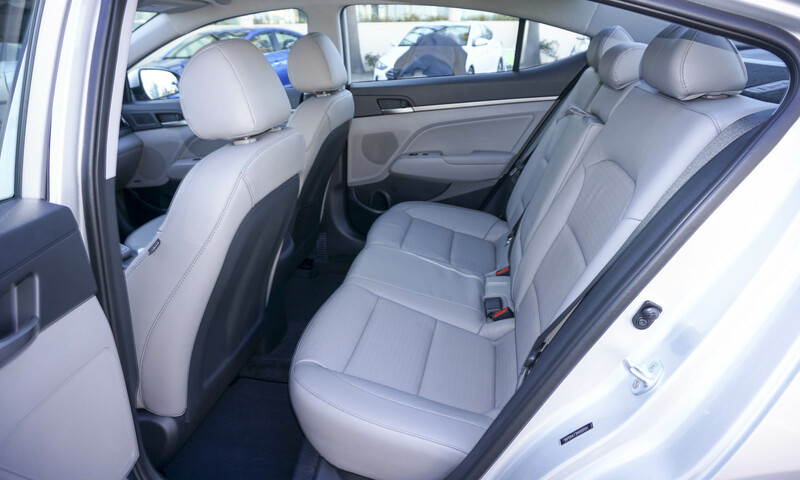 Rear-seat passengers will find a reasonable amount of legroom, thanks in part to a front seatback design that carves out space for the rear-passenger’s legs. A middle passenger would be the least happy in the car — the spot is very narrow and there’s a bit of a hump to sit on. 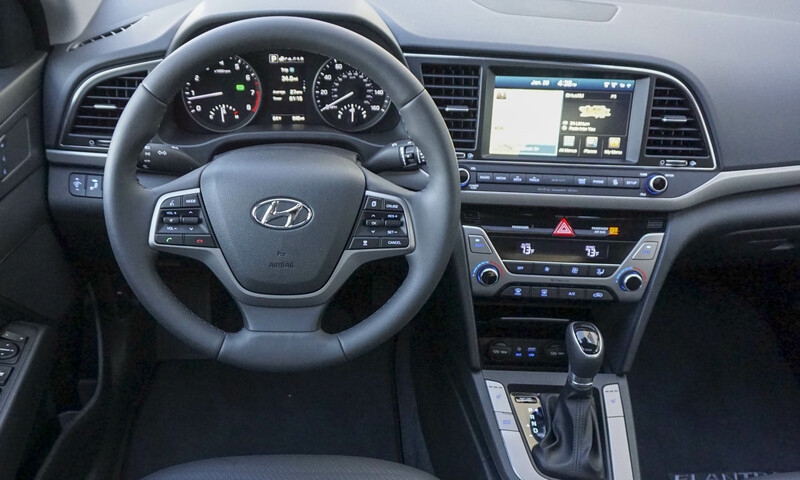 Controls in the Elantra are very easy to use. We appreciate knobs for volume and tuning, as well as the hard buttons for accessing features such as navigation, phone and audio. Climate controls are separate and always visible — another nice feature. A small display screen in front of the driver provides fuel economy and other pertinent data. The brief display of the wiper current setting is very helpful — no more trying to figure out if you’ve left the wipers off or on delay. 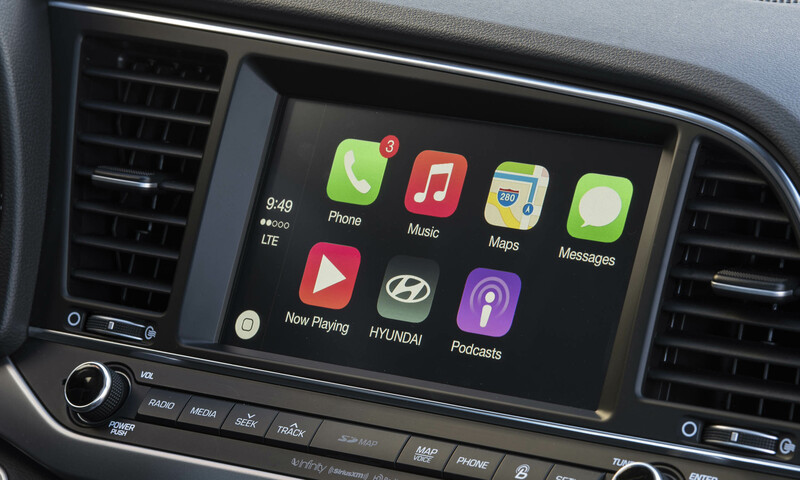 Elantra can also be equipped with Apple CarPlay or Android Auto. 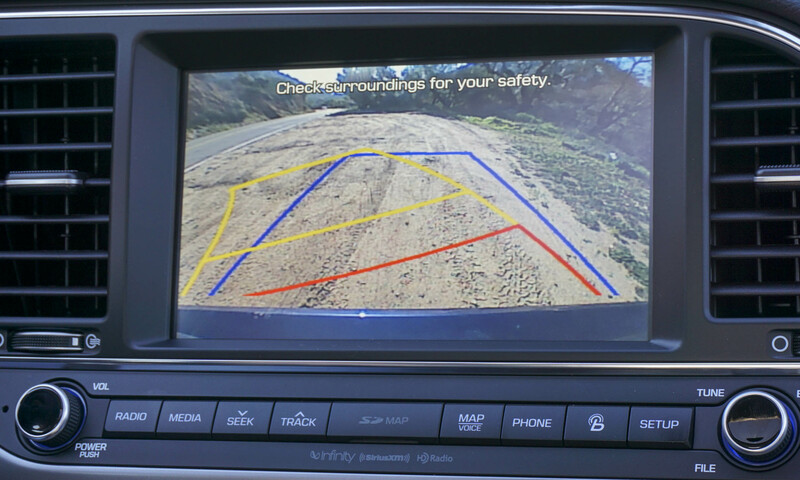 These systems integrate well into the Elantra’s display, allowing easy use of apps from the respective phones. However, while streaming music through the audio system via a Samsung Galaxy S5 we discovered that the phone used more power than the USB connection provided — even plugged in, the phone eventually ran out of battery. 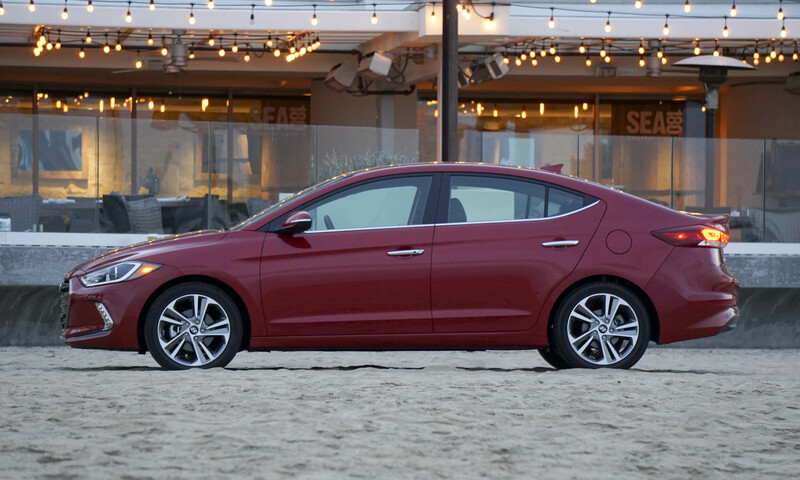 The Elantra really shines from behind the wheel. 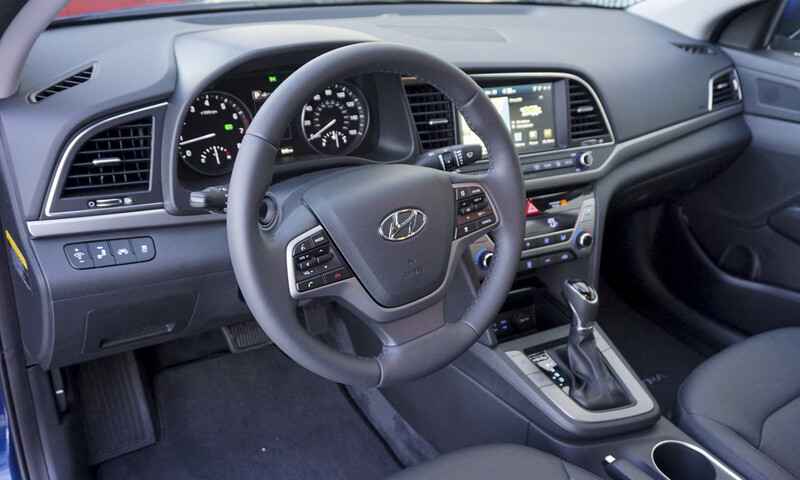 Unlike many manufacturers, Hyundai has chosen to eschew continuously variable transmission, instead staying with the more traditional 6-speed automatic. The transmission is very smooth shifting and still provides impressive fuel economy. 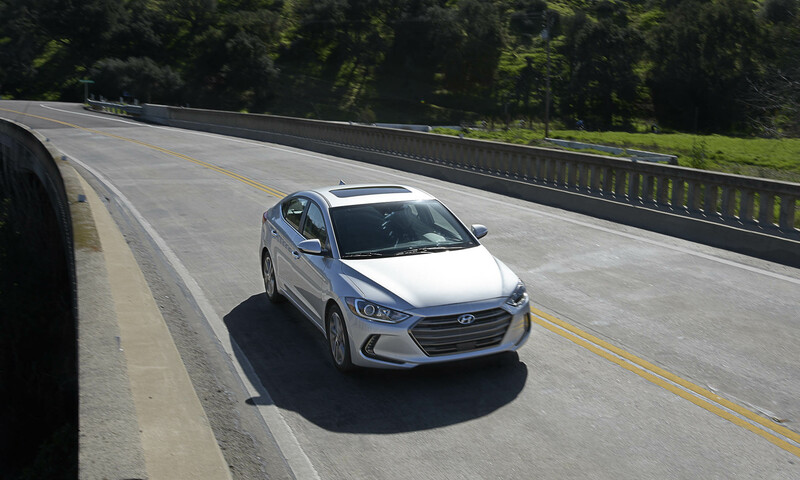 But unlike many vehicles equipped with a CVT, the Elantra feels quick and fun to drive. 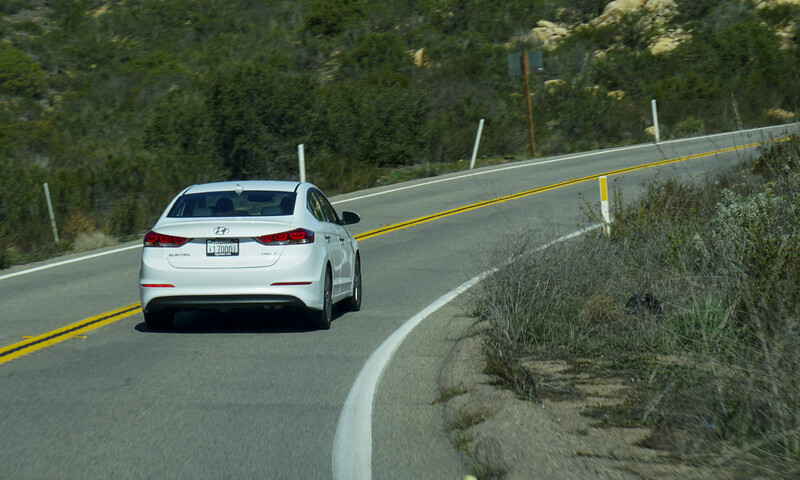 We had the opportunity to take the Elantra on freeways as well as twisty roads and it didn’t disappoint. In fact, after our drive we had to confirm the horsepower rating since the car feels like it has considerably more power than advertised. 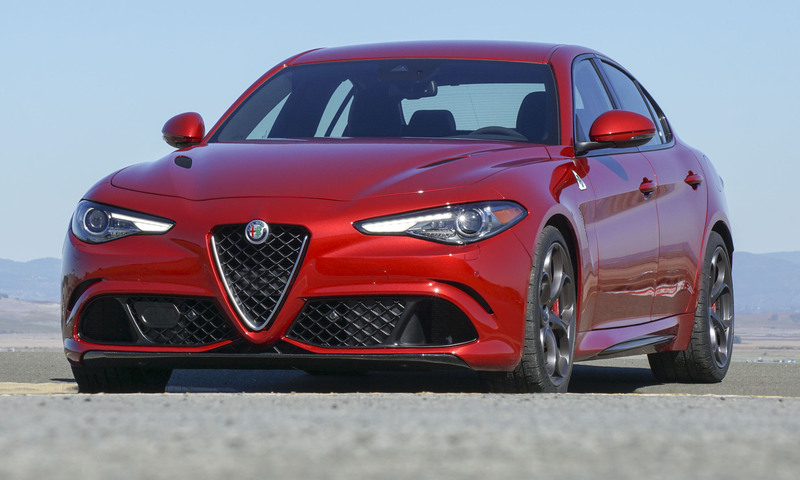 Acceleration is surprisingly strong — we’re not saying this is a sports car, just strong for an entry-level sedan — and in most situations power feels more than adequate. 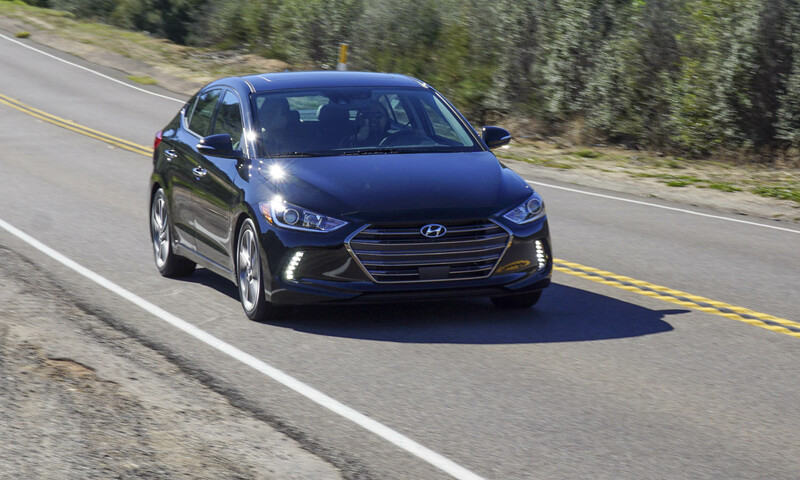 Hyundai has made a number of improvements in the Elantra’s body rigidity through extensive use of high-strength steel and structural adhesives. In addition, the rear suspension has been updated to provide improved handling and stability. All of these improvements paid off. 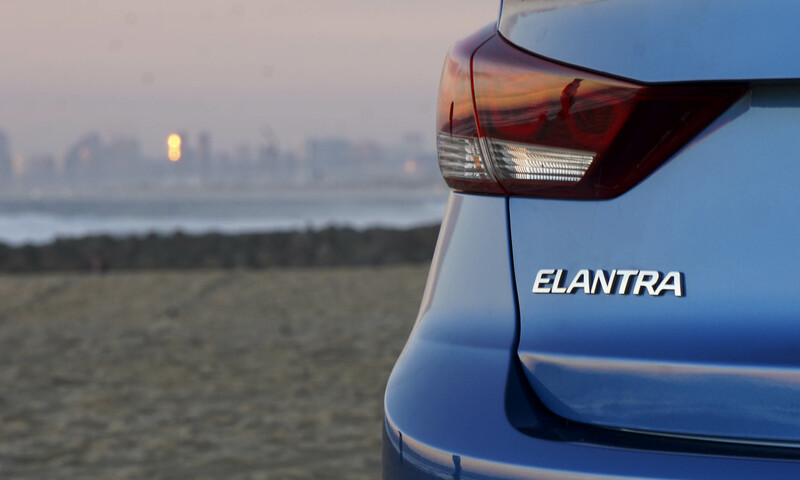 The Elantra handles curves easily at high speed, and rough roads do very little to upset the ride. The only improvement — for a driving enthusiast — would be the availability of a manual transmission in the loaded Limited trim. There’s no question that the market for small economical sedans is extremely competitive with strong offerings from Honda, Nissan, Subaru and others. 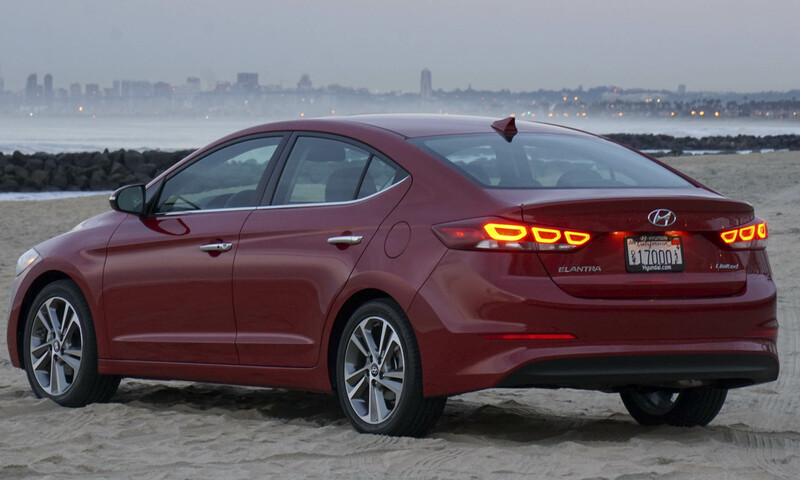 As tight as that market is, the Elantra certainly holds its own. 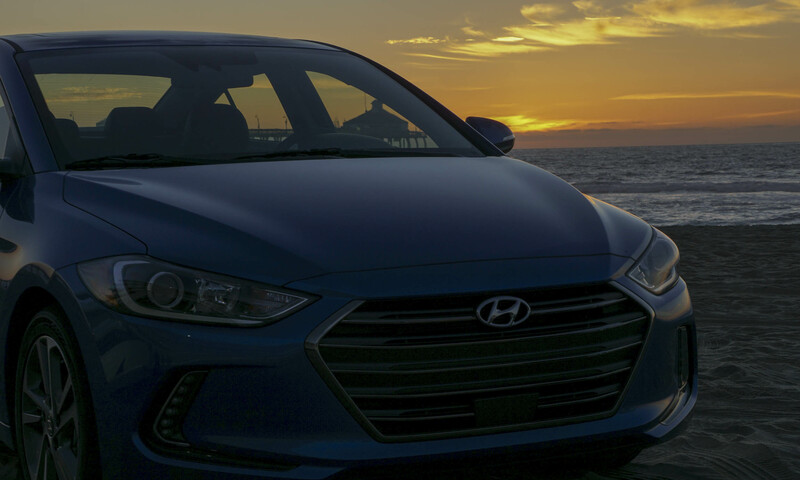 With all-new styling, a suite of high-tech safety features, great performance and a comfortable interior, the Elantra is an absolute must to consider when shopping for an entry-level sedan. You won’t be disappointed. 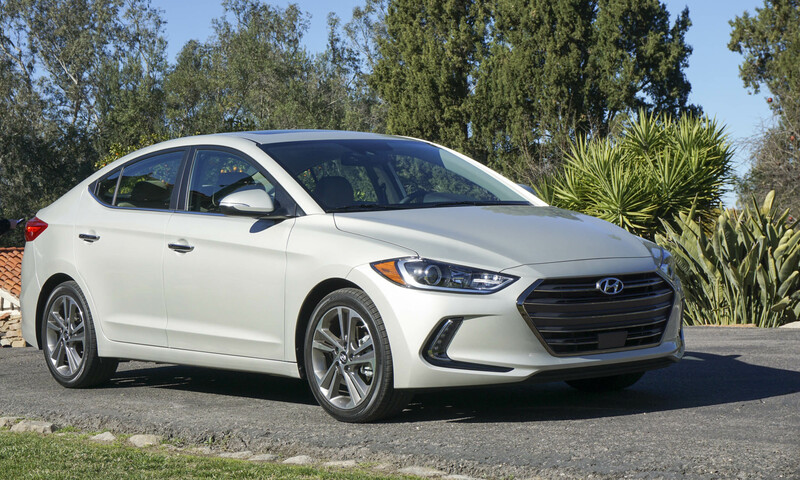 Bottom Line: Elantra stands out from the crowd as one of the best small-car offerings on the market. Pros: Attractive styling; fun to drive; roomy, comfortable interior. Cons: Manual only on base trim; rpm stays high in sport mode.